Einfach perfekte Kombinationen von Essen und Wein. You have the ingredients of your menue, we tell you which kind of wine will fit best. 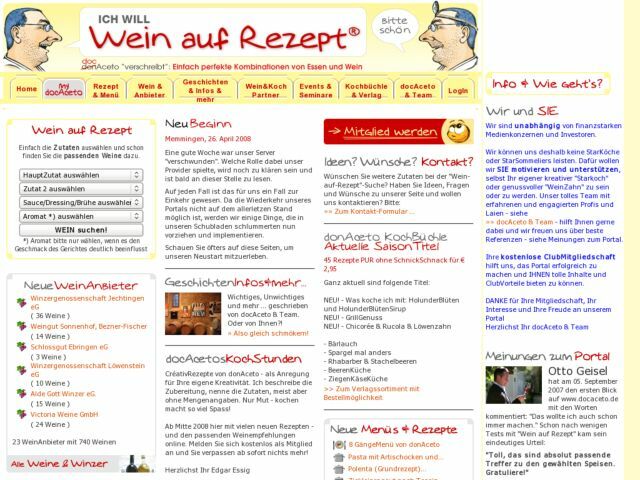 At the time of this writing the site is only in german language and serves only german wines. But this will change in the future.